Veiled Rebecca At Salar Jung Museum in Hyderabad. 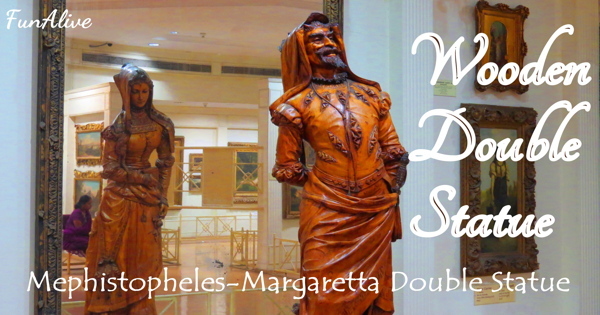 Stunning and most beautiful sculpture at Salar Jung Museum, this sculpture created by an Italian sculptor, Giovanni Maria Benzoni in 1876. 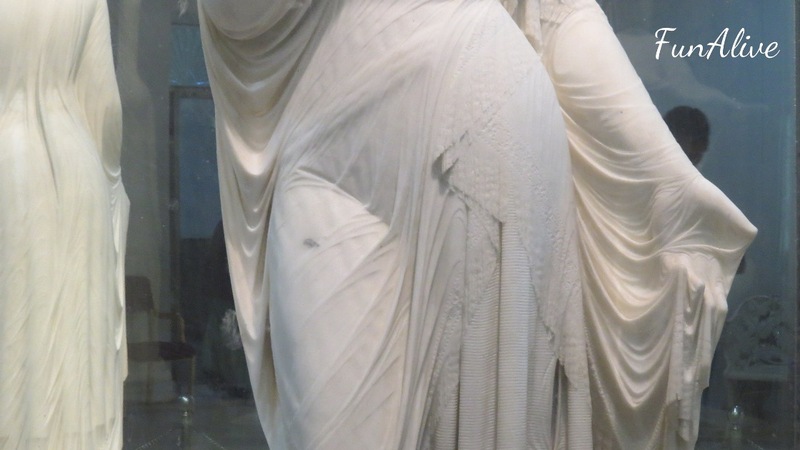 An interesting difference between the Veiled Rebecca statue at the Salar Jung Museum and the other statues is that the statue at Salar Jung Museum lifts her veil with her right hand while the other copies do so with the left hand. 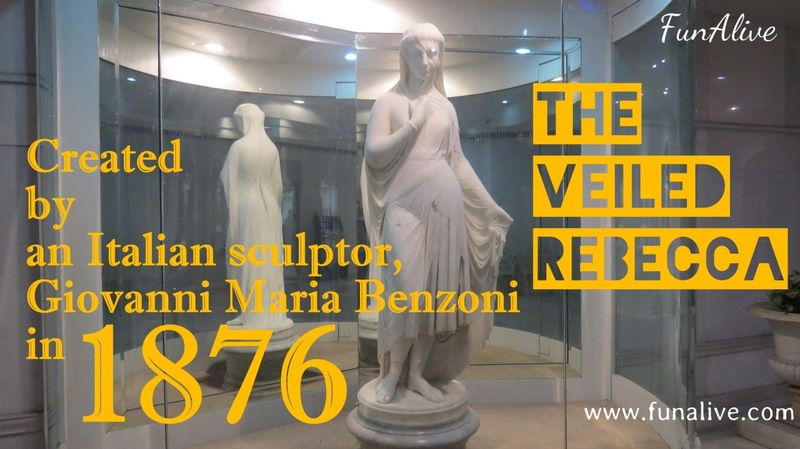 The Veiled Rebecca is a sculpture created by an Italian neoclassical sculptor, Giovanni Maria Benzoni, depicting Rebecca. In the Hebrew Bible, Rebecca is the bride of Isaac. She is covered in a transparent veil during their wedding. This sculpture represents innocence and purity as Giovanni Benzoni skillfully creates the appearance of a transparent veil, an outstanding artistic creation. Benzoni is believed to have made four copies of this statue. 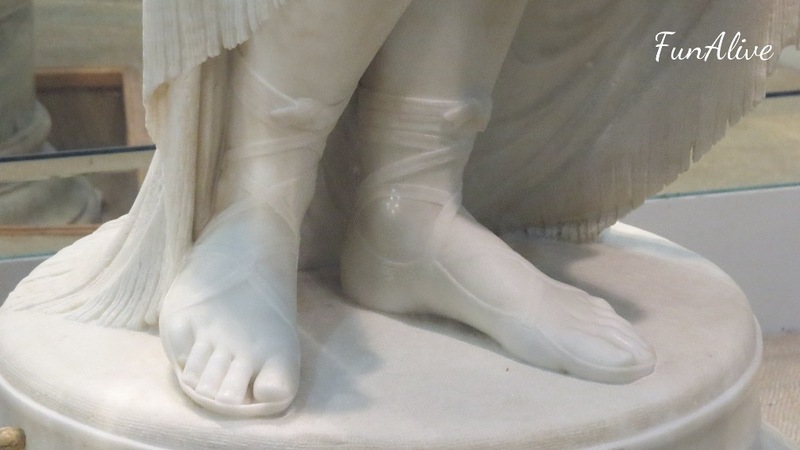 The one at the Salar Jung Museum, Hyderabad, India, has been described as a melody in marble. It is believed that Benzioni made four copies of this statue. One is among the collection at the Salar Jung Museum, Hyderabad (India). There is also a copy at the High Museum of Art in Atlanta, Georgia (USA). Another one, completed in 1866, is in the Berkshire Museum in Pittsfield, Massachusetts (USA).